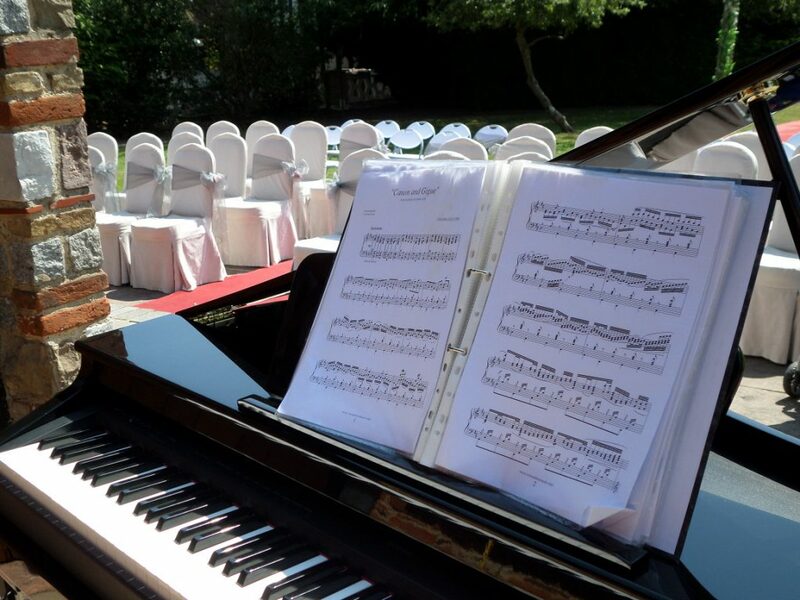 The baby grand piano shell is available for all those events where a normal digital piano just wouldn’t look right. It consists of a beautiful highly polished piano shell which contains a normal digital piano. People often think that it is a real grand piano even when they walk right up to it and watch me play. The whole construction has to be bolted together and the process takes around 45 minutes. The result really is worth the effort. I charge £85 for it’s use which is a lot less than hiring a grand piano from a company.